Agriculture has deep roots to residents in Johnson County. In the last 108 years, Extension, a partnership with The University of Tennessee and Tennessee State University, has been part of the county. From dairy, tobacco, green beans and cattle, the principal crops have changed throughout the years. and five helpful people – Rick Thomason, Agriculture and Natural Resources/Community Economic Development Agent, Sarah Ransom, Family, and Consumer Sciences/4-H Agent, Danielle Pleasant, 4-H Agent, Leigh Anne Shull, 4-H Assistant and Melissa Rupard, administrative assistant. Extension’s goal is to provide real-life solutions and deliver educational, research-based information to the public. “Extension provides you research-based information on pretty much any area of your life; we’re a one-stop shop,” Ransom said. One of the best parts of Extension is its community partners, so if they cannot help you, they know who to talk to. Extension works hard to stay up to date on the latest events, research and methods in agriculture, food safety, nutrition, natural resources, relationships, and all things youth development. Tennessee 4-H is one of the strongest programs in the nation, and Johnson County 4-H is thankful for the partnerships with the schools that allows for every student the opportunity to participate during a short session during their school day once a month. Projects help students gain practical life skills while assisting them in meeting educational standards. Pleasant emphasized that 4-H is a diverse program, with activities and opportunities for our youth in twenty-six project areas. “Watching youth try new things, learn to deliver judging reasons or become independent at camp are just a few of the invaluable experiences that will benefit them for life. It is truly a joy to be a part of their learning experience,” he said. New and future things happening at the Extension office include STEM projects, clothing, and textiles project groups, arts and craft project groups, workforce preparedness for adults, beef classes, grants for farmers and producers and much more. Everyone loves working with their community and hopes to continue serving for many years to come. Extension has proven to be a great benefit in our county over the years to help improve the lives of our families. The future is bright, and we look forward to meeting the changing needs of the county. E-newsletter, contact Sarah at sransom@utk.edu. Follow us on Facebook, “UT/TSU Extension Office – Johnson County” for helpful articles and upcoming events. Real estate experts say early indicators point to another positive year for the local housing market. Johnson County has more than $101 million of farms, ranches, and rural property for sale. in the area buy and sell homes. Twelve closings reported for Johnson County just in January, with the average sales price for that month of a little over $250,000. Local real estate professionals attest January was, indeed, a record month. Ken Tolliver, Realtor with Mullins Real Estate and Auction, likened this past January’s sales to a typical July. 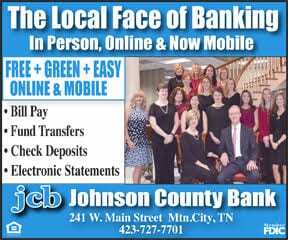 “I had more closings in January and February than any other months since I have been in the business,” said Tolliver. Some of the factors used in determining a healthy housing market are the number of days a house stays on the market, the amount of homes with negative equity, how affordable they are and low-interest rates. There are many reasons for prospective home buyers to look to Tennessee, not the least of which is the absence of a state income tax, but it is also important to consider the uniqueness of rural living. “It is important to think about your new home’s location just as carefully as its features,” said James Bonifacino of General Realty of Tennessee. the cost of living there making Johnson County a hidden gem of sorts to realtors. 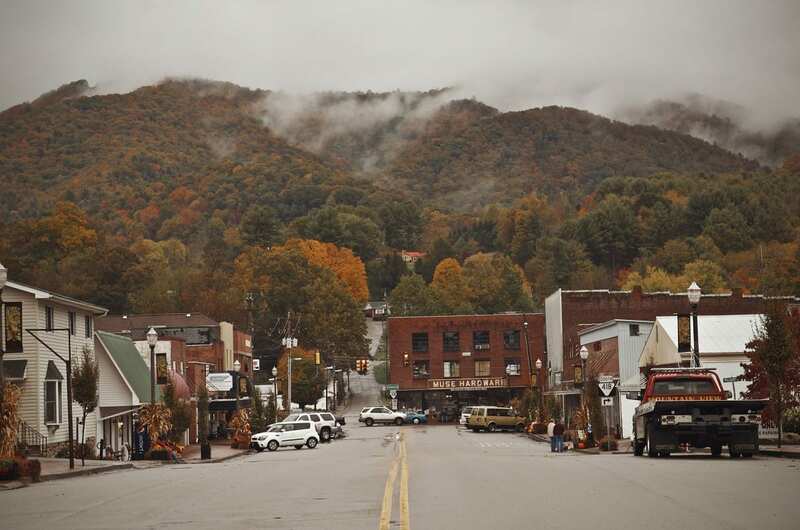 According to www.bestplaces.net, Mountain City sits 24.7 points below the national average for cost of living at 75.3. This number reflects the cost of groceries, health, housing, utilities, and miscellaneous expenses. This past year was very good for the local real estate market. listings to keep up with demand of new buyers. The state continues to enjoy outstanding tourism growth, continually exceeding economic impact numbers, and bringing new jobs to Tennesseans. According to the Tennessee Department of Tourist Development, tourism remains the state’s second largest industry behind agriculture, with all 95 Tennessee counties reporting an increase in the economic impact of tourism in 2018. Tourism means jobs and jobs mean economic stability. Every tourist destination starts somewhere and for rural areas, like Johnson County, it means touting the natural beauty locals sometimes take for granted. While off the beaten path, this area offers visitors a unique history, unexpected culture and a wide array of recreational activities. five-year tourism development plan, and will be sharing that draft plan with a wide range of community leaders as soon as we have a reasonable first draft.” That group, according to Calkins, would include political leaders, local community leaders from each of the main sections of the county, event sponsors, and other community organizations. While events remain fluid from year to year, there are some areas of the county that provide year-round fun for locals and visitors alike. Johnson Countians and many visitors continue to enjoy a plethora of recreational activities at Watauga Lake. In addition to normal lake activities like swimming, boating, canoeing, and kayaking, there are several businesses that cater to visitors, offering rentals, tours, etc. bringing visitors to the beautiful mountains of East Tennessee. Hiking Trails are also expanding at Doe Mountain. “Over the next few months we plan to open several short pedestrian paths to interesting points on the property,” said Davis. “Additional picnic tables will offer more opportunities to kick back and relax during your visit.” There are also points in the area where one can enter the Appalachian Trail for day hikes. Mention “the Snake” and motorcycle enthusiasts from across the nation recognize the name given to the 33-mile stretch of twisting, winding, asphalt heading into Shady Valley. Tucked away in the corner where the states of North Carolina, Tennessee, and Virginia come together, this stretch of US Highway 421 north of Mountain City, which has been drawing visitors to Johnson County for several years, boasts 489 curves. With respect to agriculture, the rich, fertile soil of the East Tennessee Mountains ha fed many generations of Johnson Countians and can provide a unique learning experience to visitors to the area. Johnson County has also been designated an American Viticultural Area (AVA), which specifies a grape growing region that is unique in soil, climate, and/or geography. The local vineyards produce high quality wine grapes for two local wineries. In addition to the numerous recreational activities, Johnson County is also home to several historical sites and two museums full of interesting artifacts. 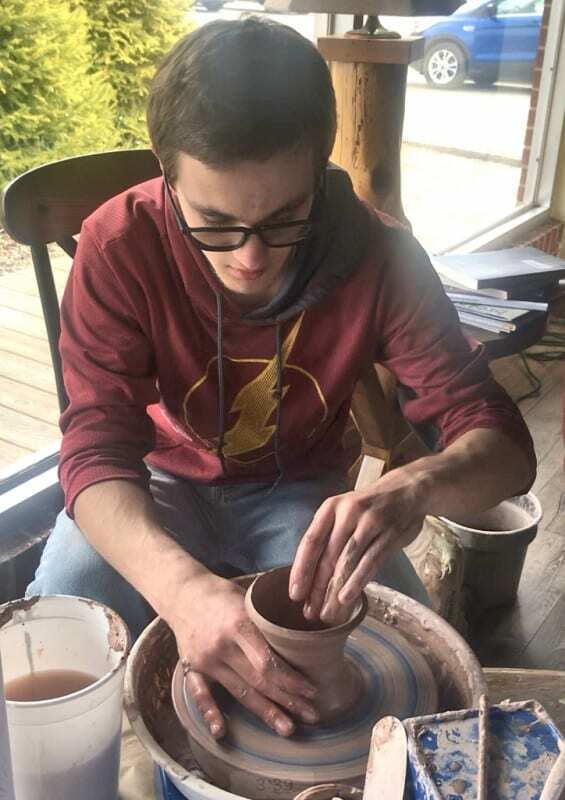 Appalachian artwork and enrichment experiences can visit the Johnson County Center for the Arts, a venue created to showcase a wide array of crafts and products from area artisans. Seniors practice billiards in preparation for the upcoming tournament. The Johnson County Senior Center has been around for nearly four decades. Public awareness rose three years ago when Kathy Motsinger took over as director. In this short amount of time, member numbers rose by nearly 800 and continue to rise. Motsinger has brought in an era where people cannot wait to become seniors. In her 3 years, Motsinger and company have remodeled the center kitchen, replaced the transport van, replaced old van seats with new furniture, added new exercise equipment, made a meeting space, created a small library, painted the building, and purchased a new sound system, laptops, and two large televisions for center use. She also schedules senior trips. Seniors go on a lot of day trips and the occasional overnight trip. However, Motsinger has several larger trips planned for 2019. These include Virginia Beach, Williamsburg, Niagara Falls, Toronto, Las Vegas, and the Grand Canyon. These trips are mostly full, and some have waiting lists. Motsinger attributes the center’s success to volunteers, sponsors, donations, and grants. One example is the bus drivers. Terry Hodge, Robert Wilson, and Dennis Henson do a lot more than just transport seniors. They help with shopping carts, hold bags, and even stop to treat the riders to ice cream. MyRide Volunteer Coordinator Danae Marshall does her regular tasks while helping around the center. Marshall also uses her LPN experience to give free blood pressure checks weekly. meeting its 3-year goal in less than a year. MyRide’s popularity has not been detrimental to the center. Many new riders join the center after seeing the seniors in action. The Johnson County Senior Center has advanced a lot in the last few years, but there is a lot of change outsiders cannot see. The seniors are continually improving their mental and physical health. The center offers a wide variety of health-related services such as diabetes classes, the Silver Sneakers exercise program, health fairs, support groups, free blood pressure readings biweekly, and more. Programs such as the new Veterans’ Cafe allow seniors to connect with others in the same circumstances. Physician Dr. Daniel Jones noticed the positive difference the center makes. Motsinger has a lot of plans for the center. Currently, the biggest problem is lack of space. New people sign up daily. Generous donations jumpstarted a covered deck project in correlation with Heritage Square. This project adds a little more space and should be complete by the end of March. The next project will be more handicap accessible bathrooms. There is an untapped resource at the center. There is an upstairs, which could be the answer to the space issue. This floor would be ideal for events or a recreational room. The only problem lies in funding. It will require a lot of repairs. The two most important are replacing the dropout ceiling and installing an elevator. These renovations are necessary to make the area safe and accessible to seniors. Funding and volunteers are always needed. Johnson County’s courthouse and its elected officials are continually striving to ensure that the people of Johnson County have the best possible service and quality of living in the entire state of Tennessee. Such is the case in the office of the County Clerk, Tammie Fenner that have been experiencing several changes to the goings on, including the ability to place temporary tags on the outside of the vehicle in the tag position. The changes are possible by the weather and waterproof material now available at the County Clerk’s office. Another new update pertains to those with CDL Licenses. Previously, to duplicate an old license or perform a change of address, a CDL carrier had to drive out of the county to Elizabethton. Now, these tasks can be implemented in Johnson County at the courthouse, saving residents of the county time, money, and hassle. Since Fenner had taken office twelve years ago, there have been many of these little conveniences imposed throughout her office. Customers can use their credit and debit card to pay in office, instead of the previous reliance on cash. Duplicate titles can be printed in office, allowing them to be ready in three to four days compared to the previous three to four weeks. Money leans now done on the spot instead of requiring several days of waiting, while the decals on the tags have been reduced from two stickers to only one, identifying that the car belongs to a resident of Johnson County. As she looks forward to the future of Johnson County and its residents, Fenner says that all the changes have been to support the community, and also comments on the support the community has given her as well. In addition, the Circuit court clerk’s office offers background checks for a competitive rate, and the proceeds of these operations directly benefit Johnson County. For landlords in the county, the office provides free background checks for any tenants at any time. Circuit court clerk’s office has collected 35,000 dollars. This money goes directly toward the county general fund, which can be used to benefit the county and its residents. Mountain City Mayor Kevin Parsons remains optimistic about the future despite his lofty goal of making Mountain City the best town to live and work in the state. I want to grow new activities to complement our playground areas, skate park, swimming pool and community center. I believe that can happen with volunteers and support from our local businesses. The Board of Mayor and Aldermen meets the first Tuesday of each month at 6:30 p.m. at City Hall. Enhanced security measures are now in place at the Johnson County Courthouse, and law enforcement says the changes will better protect the public and employees. When courthouse, there’s a couple of things you’ll have to do. First, place all items into the container provided. Second, proceed through the metal detector. If a beeping sound is heard, it may be time for a pat down. This new routine is due to the state legislature passing a new statute last year. Since the Tennessee Judicial Conference and the Tennessee General Sessions Judges Conference adopted new minimum courtroom security standards in 2018 to promote the security and safety of the members of the judiciary, court personnel, and the public, the Johnson County Courthouse has experienced several security upgrades. walk in one of multiple entrances without encountering any security measures, courtrooms lacked direct emergency communication to law enforcement, and there was often no secure way to transfer or house incarcerated defendants attending a court appointment. a decade at the entrance of the upstairs courtroom, this still left the building itself mostly unsecured. through a manned security checkpoint complete with modern scanning equipment similar airport systems. that was before increasing violence at government structures, including schools, prompted a nationwide move to heighten security. Increased security is always inconvenient, but it is necessary to provide a safe environment to all those who come to the courthouse — litigants, jurors, staff, and the public. The Merriam-Webster Dictionary defines progress as development to a higher, better, or more advanced stage. Johnson County has taken a turn for the better in recent years. The county is a living, breathing entity that is continuously growing. People around the world are learning about this small area in northeastern Tennessee. New businesses and opportunities have finally put Johnson County on the map. Johnson County branched off from Carter County in 1836. It has come a long way in that time. This area is drawing attention from all over the country. One example of this is the Johnson County Robotics teams. The robotics program is only around 4-years old. That has not stopped students from obliterating the competition each year. This year all groups made it to the state competition, and one of the JCHS teams will attend the world competition at the end of April. The robotics teams are not the only students bringing positive attention to Mountain City. The JCHS varsity football team took home the title championship two years in a row, and the Longhorn varsity basketball team won the Three Rivers Tournament championship. The Lady Longhorns basketball team even won its first tournament game in decades 64-60, breaking a 24-year cycle. Sports prowess has had a remarkable impact, but individuals also made a significant difference. 3rd District Constable and community staple Dave Quave were handpicked by the Secret Service to drive in the presidential motorcade during President Trump’s visit to Freedom Hall. Mother and daughter team Linda and Amber Icenhour won the Mothers’ Choice Award for their children’s book “The Adventures of Jam and Jelly.” 5th District County Commissioner Megan McEwen organized a now annual March for Life to protest abortion practices. A single voice is enough to jumpstart change. The anonymous donor who gifted the Johnson County Community Foundation nearly 200 thousand dollars at the end of 2018 proves this point. This area is slowly growing. New programs such as the TN College of Applied Technology (TCAT) and Agricultural Center are bringing opportunities to town. Heritage Hall Theatre just extended its reach by offering online ticket sales through a partnership with tix.com. The Johnson County Farmers Market now has a permanent home. The Johnson County Public Library expanded its workspaces and added multi-stall bathrooms. All of these acts open the door for more people to come and enjoy local resources. Several long-sought goals have become a reality in these last few years. One example is the liquor allowance passed in November 2018 when locals voted for liquor by the drink and retail package store sales. This change may lure new businesses to the area. Johnson County has already drawn new retailers before the ordinance. Taco Bell, KFC, the Laurel Bloomery Dollar General, Johnson County MyRide Tennessee, and the Johnson County Center for the Arts are just a few. Tennessee home sales have been on a steady incline from 2011 to 2017. 2018 shows a minor decrease, but Johnson County is still in a real estate boom. Statistics show 117 houses sold in Johnson County during 2017. Local real estate agents frequently talk about the improving market. 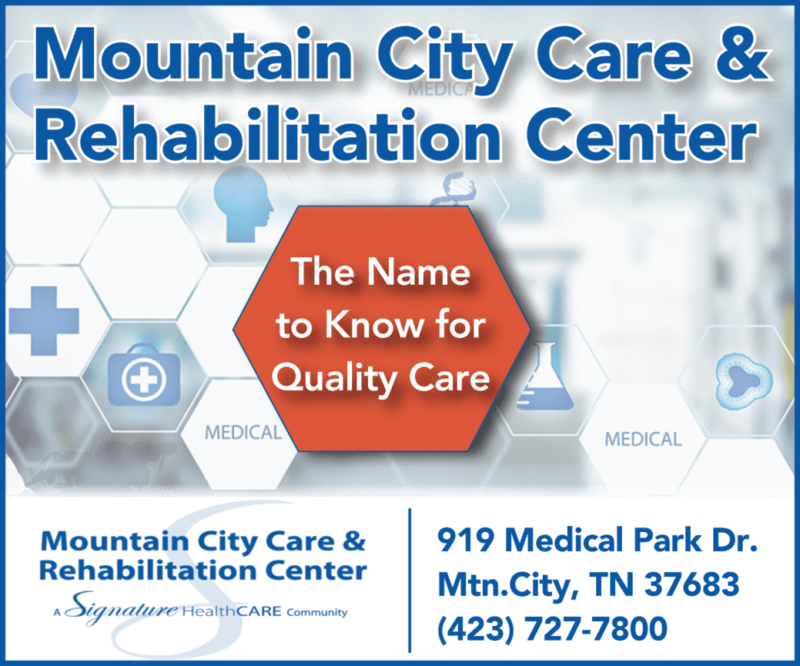 Mountain Heritage Realty plans to open a Mountain City office. Lewis Chapman joined the staff shortly after. The current team has refocused on local coverage. New features such as Meet the Locals and Destination Damascus help locals stay informed of local events and businesses. The staff at The Tomahawk is excited to see the community flourish and grow.